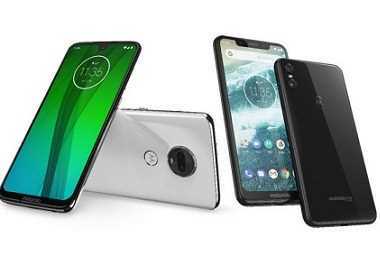 Latest price of Motorola Moto G7 in India was fetched online from Flipkart, Amazon, Snapdeal, Shopclues and Tata Cliq. "Moto G7 vs Moto G7 Power vs Moto G7 Play vs Moto G7 Plus: Confused which one to buy?" 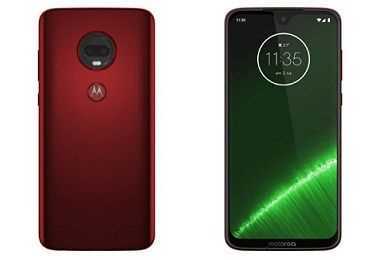 "Moto G7, Moto G7 Plus, Moto G7 Play and Moto G7 Power Launched: Here’s Everything You Need to Know"
Motorola recently unveiled its G7 Series of smartphones, comprising G7, G7 Power and G7 Plus. While all the three devices are budget-friendly and ideal for anyone looking for an affordable yet power-packed device, G7 is slightly more expensive than its siblings. But the marginally higher Motorola Moto G7 Plus price also brings in many additional features, better cameras, more power, and fast charging technology. Moto G7 plus is expected to be launched in select regions. It is not yet launched in India. Moto G7 Plus features two cameras at the back with the primary rear camera being a 16MP camera with 1.22-micron pixel size and f/1.7 aperture. The second rear camera is of 5MP and has an aperture of f/2.2. For selfies, the phone features a 12MP camera with 1.25-micron pixel size and f/2.0 aperture. G7 Plus has an inbuilt storage of 64GB. In case if a user is looking to expand the storage, the same can be done with a microSD card of up to 256GB. Unlike many budget smartphones that feature hybrid SIM card slots, Moto G7 Plus has a dedicated slot for microSD card to make sure that the users are not required to let go of a SIM card slot for using a microSD. The phone is powered by a 3,000mAh Li-ion battery which also supports Quick Charge 4. On a full charge, the phone can easily last for up to 24 hours with normal usage. However, people who play a lot of HD games, watch videos and use social media might have to recharge it by the evening. 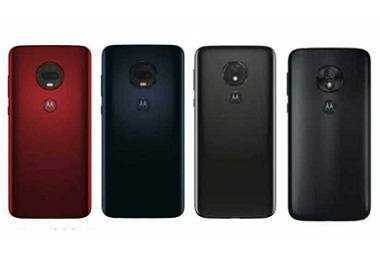 Moto G7 Plus has a 6.24 Full HD+ IPS LCD display with a resolution of 2340 x 1080p and aspect ratio of 19:9. The display has a pixel density of 407ppi and can reproduce up to 16 million colours. There is also a Corning Gorilla Glass 3 for protection, and the phone is splash resistant as well. The dual SIM Moto G7 Plus supports dual Nano SIM cards with 4G support for both. Other connectivity options such as Wi-Fi, Bluetooth, FM Radio, NFC, and GPS are available as well. Despite being a budget smartphone, G7 Plus features USB Type C 2.0 port which is still not found on many latest devices in the same price range. Moreover, the phone runs on Android 9.0 Pie. While some of the budget offerings that run on Android 8.1 have started getting Android 9 updates, Moto G7 Plus is one of the few budget handsets that come with Android Pie out of the box.